After reading the first two books in the series I was on tenterhooks to find out what happened to Shannon. Her story arc was terrifying, suspenseful, exciting and surprisingly it had a little sweet romance. I loved that the story unfolded from the P.O.V. of the different main characters. Diego's quest to travel back in time and save his world also made riveting reading. The story of the alternate Isabelle and James was quite sad but I loved how their story concluded. 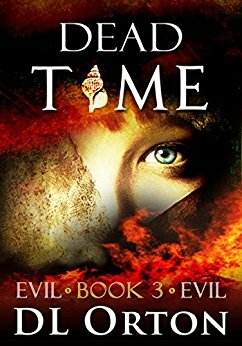 Dead Time is incredibly fast paced and exciting read. Any fans of sci-fi, romance or adventure would be sure to enjoy this series.